Click here for our list of events. Practically every month, there is an event to support! We appreciate our generous donors who attend our regional and corporate fundraising events. You can find a list of upcoming events by clicking here. Please join CCLA’s Immigration and Refugee Resettlement Program at the inaugural Faith, Hope & Charity Gala fundraiser on Saturday, April 27, 2019, at De Luxe Banquet Hall in Burbank. This special evening will feature a red carpet cocktail reception, gourmet dinner, awards presentation, special travel auction, musical entertainment and more. Hosted by Emmy Award-winning journalist Leyna Nguyen, the event will honor Tim Robbins and The Actors’ Gang, PwC US (PricewaterhouseCoopers), Mosaic Church and more. Proceeds from Faith, Hope & Charity Gala will benefit the Immigration and Refugee Resettlement program. For the Faith, Hope & Charity Gala invitation, click here. For Sponsorship Opportunities and Online Registration, click here . Catholic Charities of Los Angeles, Inc. is pleased to announce the 23rd Annual Catholic Charities’ Golf Tournament to be held on Monday, June 17, 2019, at Annandale Golf Club in Pasadena. The day-long event includes 18 holes of golf, a barbecue lunch, a buffet reception, and an awards presentation. Players compete in foursomes and awards are given for the Tournament’s top finalists, Hole-in-One, Longest Drive, Closest to the Pin and Putting. Proceeds from the event will help provide food, clothing, shelter and other emergency assistance to the homeless and/or working poor who come to Catholic Charities’ community centers for help. For more information about the 23rd Annual Catholic Charities’ Golf Tournament, please contact Alexandria Arnold, Chief Development and Communications Officer, at SArnold@CCharities.org. 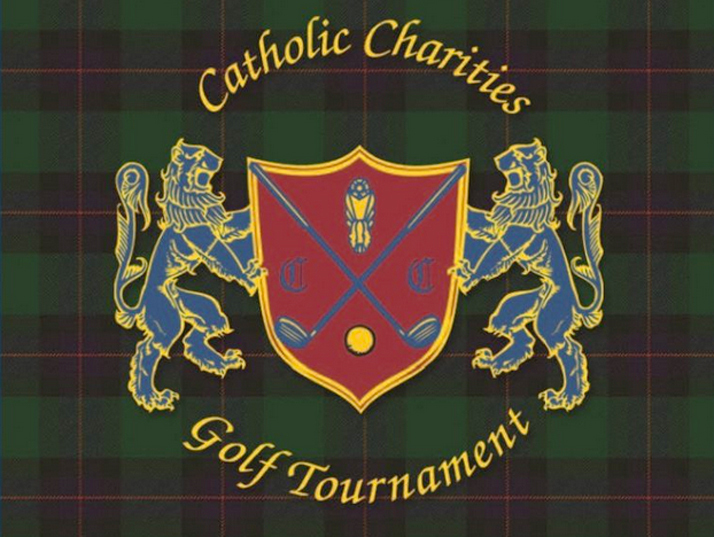 For the 23rd Annual Catholic Charities’ Golf Tournament invitation, click here. For Sponsorship Opportunities and Online Registration, click here. . 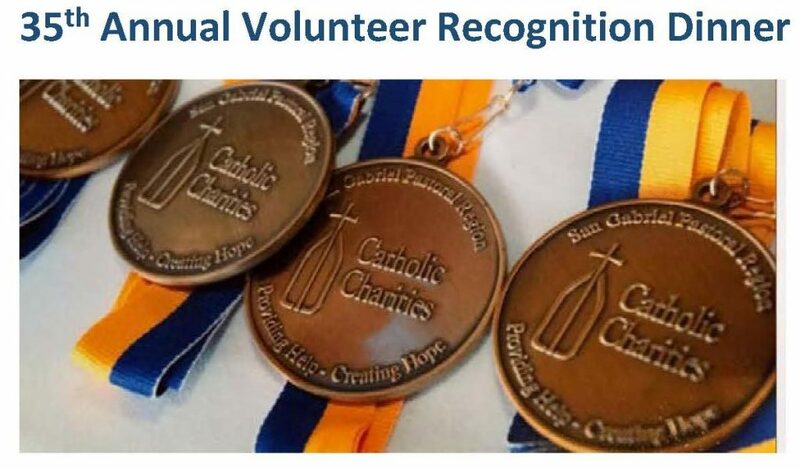 The San Gabriel Region of Catholic Charities of Los Angeles, Inc. will hold its 35th Annual Volunteer Recognition Dinner on Monday, May 6, 2019, at Hilton San Gabriel , California. The event will honor Distinguished Parish Nominees and the Spirit of Caring Awardees. For more information, please contact Priya Tharayil at PTharayil@CCharities.org. For the 35th Annual Dinner Invitation, click here. Please join Catholic Charities’ San Fernando Region at the 19th Annual Gala of Grace on Saturday, June 8, 2019, at 6:00 p.m., at Guadalupe Community Center in Canoga Park. For the 19th Annual Gala of Grace invitation, click here. For Sponsorship Opportunities and Online Registration, click here. For parking instructions and directions, click here. Catholic Charities of Los Angeles’ Centennial Gala will be held at The Center at Cathedral Plaza on Saturday, October 5, 2019. The event celebrates Catholic Charities of Los Angeles’ Century of Compassion for the poor and vulnerable in Los Angeles, Ventura and Santa Barbara. Save the date for the 2019 Catholic Charities’ City of Angels Christmas Gala to be held at The California Club in downtown Los Angeles on Friday, December 6, 2019. 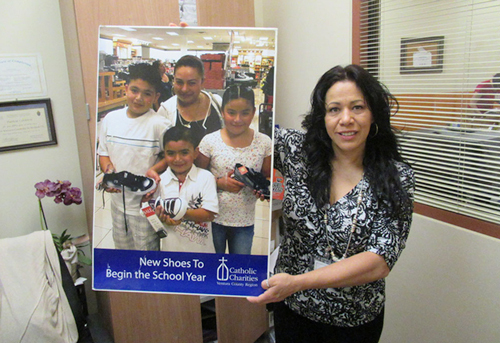 Proceeds of the annual event are used to help the poor children and families served by the community centers of Catholic Charities.